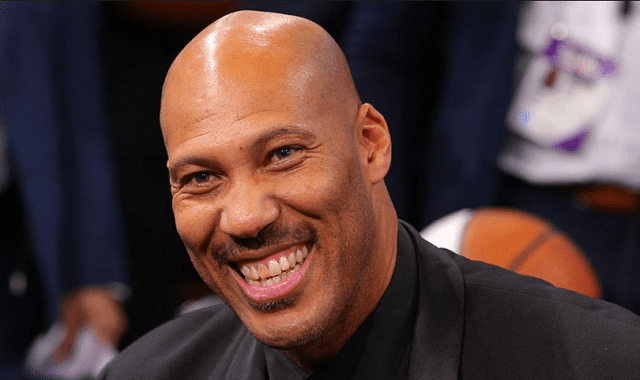 Lavar Ball is an American media personality, businessman, former NFL player, and a personal trainer. He played both football and basketball in high school and college but eventually decided to pursue a career in football. Unfortunately, his football career was brought to an abrupt end due to an injury which led him to retire to originally be a personal trainer in California. He is popular not for playing professional football but for being the father of three talented NFL players and also because of his penchant for controversy. Mr. Ball is the founder and CEO of Big Baller Brand, a sports apparel company, and the Junior Basketball Association (JBA). Born on October 23, 1967, in Los Angeles, California, the former defensive/tight end is the fourth child of his parents. He grew up in South Los Angeles with his brothers named LaFrance, LaValle, LaRenzo, and Lashon as well as his two sisters. Lavar Ball was a student at Canoga Park High School, Canoga Park, Los Angeles and West Los Angeles College. In high school, he played with the school’s football team and was a reputable quarterback. He broke the school record in one season, with a total of 316 rebounds. The athlete also played basketball as a forward. Moving forward, he enrolled in West Los Angeles College, majoring in criminal justice with the hopes of becoming a U.S. Marshal. At the same time, he shifted his focus to basketball and despite the fact that he had little experience in the sport, he began his college career playing in the low-tier Western State Conference. He later transferred to Washington State University where he played for one season with the Cougars basketball team as a starting forward before moving again to California State University, Los Angeles. After he finished his college basketball career, the athlete played college football for one year at Long Beach City College. His brief tenure as a collegiate tight end earned him an invitation to an NFL tryout and an eventual signing with the New York Jets as a defensive end. He played briefly for the London Monarchs of the World League of American Football and was also part of the New York Jets and Carolina Panthers’ practice squad during his NFL career. Sadly, Lavar Ball never played an official regular season game in the National Football League before his eventual retirement from the game in 1995 due to injury. 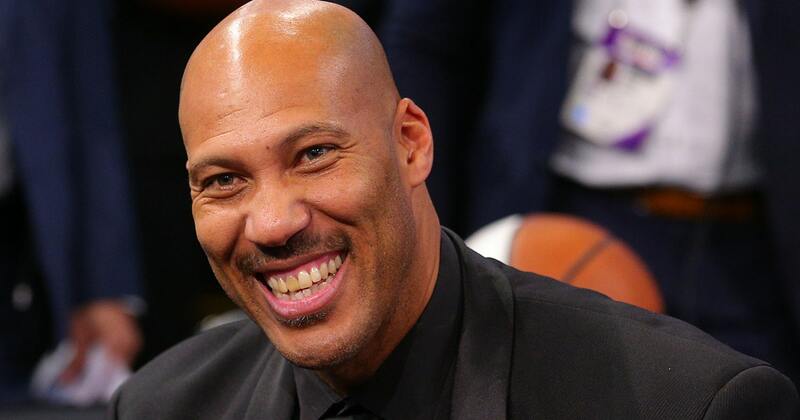 LaVar Ball is said to have an estimated net worth of $4 million. Having saved up some money from football, he established himself as a personal trainer. Although he still makes money from his clients who he helps to reach their fitness goals, LaVar Ball also has some lucrative side hustle. In 2016, he founded a company that deals on athletic apparel known as Big Baller Brand or “BBB” for short and on May 4, 2017, the company announced its first shoes, the ZO2, which retailed at $495. On September of the following year, LaVar’s company announced a signature shoe for his youngest son. The shoe named the Melo Ball 1 (MB1) was sold on pre-order for $395. Mr. Ball also created a shoe brand called the Gelo 3 (later rebranded as the G3 Lux) for his second son, the price of which was also set at $395. LaVar Ball also revealed that there is a forthcoming signature shoe for him and his wife. In December 2017, the former basketball player announced that he would help establish a basketball league, the Junior Basketball Association (JBA) under full funding by the Big Baller Brand. The Ball’s family also has a reality show called Ball In The Family, which airs exclusively on Facebook. LaVar is married to Tina Catherine Slatinsky for more than two decades. Tina, daughter of Robert and Catherine Slatinsky, was born on December 11th, 1967, in Miami, Florida. She studied at Alta Loma High School and while there, she played basketball before moving on to California State University, Los Angeles, where she continued with her college basketball career, playing for the California State Los Angeles Golden Eagle Women’s basketball team. Tina and her husband met in high school and got married in 1996. After LaVar’s NFL career ended in 1995, they moved to an affluent Los Angeles neighborhood where Tina got a job at a middle school as a physical education teacher. She also ran local sports programs and is responsible for making the costumes for a production of “Beauty and the Beast.” As a result of her creativity and thoughtfulness, Tina was made the Big Baller Brand’s lead designer. She suffered a major stroke in February 2017 which paralyzed her right side and left her suffering from aphasia, a condition that makes it difficult for her to retrieve words when she attempts to speak. Since the incident, she has depended heavily on her parents, especially her father who helps her with exercises to regain her speech. She is slowly recovering and has gotten back to her feet. LaVar Ball and his wife have three sons named Lonzo (born on October 27, 1997), LiAngelo (born on November 24th, 1998), and LaMelo (born on August 22, 2001). Like their parents, the three boys are also basketball players and they have succeeded in becoming celebrities in the business. The first son, Lonzo, in particular, is the most popular of the LarVar’s sons. He was trained personally by his father and due to his superb college basketball career with the UCLA Bruins, the Los Angeles Lakers selected him during the 2017 NBA draft with the second overall pick. Lonzo had a baby girl named Zoey Christina Ball on July 22, 2018, by his high school lover, Denise Garcia. LiAngelo had originally committed to play for the UCLA Bruins but left the university after he was suspended for a shoplifting arrest in China in November 2017. He then played for the BC Prienai of the Lithuanian Basketball League (LKL). Currently, LiAngelo plays for the Los Angeles Ballers of the JBA. The youngest of Ball’s family, LaMelo, is one of the most popular teenage basketball players at the moment. He played for BC Prienai alongside LiAngelo and now plays for the Los Angeles Ballers of the National Basketball Association. As anyone would expect of any professional athlete, especially a basketball or football player, LaVar Ball is very tall. By the time he got into college, he stood at 6 feet 4 inches (1.93 m) and weighed 250 lb (113 kg). However, he has added a few inches and pounds and now measures 6 feet 6 inches (1.98 m), weighing 263 lb (119 kg).